There’s a reason the theatrical cut of the film doesn’t make sense: the studio panicked when it performed lousily for test audiences. So they ordered several weeks of re-shoots and attempted to turn a movie about monsters into a seemingly more marketable movie about a slasher. Do you remember when slasher films were considered sure things at the box office? Those were simpler times. Presumably, director Clive Barker was kicked out of the editing room. Instead of releasing the film around Halloween of ’89, the studio released it in February of 1990. Because nothing says Valentine’s Day like monster/slasher mayhem. Needless to say, the movie bombed at the box office and was panned by critics. 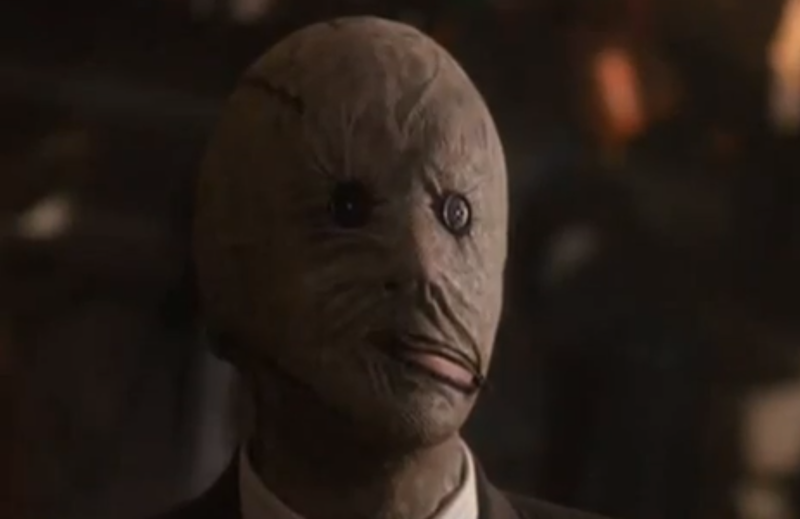 I remember hearing rumors about missing Nightbreed footage some time ago. I didn’t think too much of it because these things usually just get your hopes up. According to an excellent article in the latest issue of Rue Morgue, however, the footage hasn’t just been found, there’s a new cut of the film. That’s the good news. The bad news is all this long lost footage was found on VHS dubs of the masters. The current state of The Cabal Cut (Cabal being the name of Barker’s novel) is a patchwork of VHS scenes and DVD footage. Despite the alternating quality, the screenings are doing pretty well. And the studio is taking notice of the interest. These kind of movies typically perform much better years after they come out if they perform well at all. According to Clive Barker and the other guys involved with The Cabal Cut, Morgan Creek Productions gave them permission to screen the film as a way to gauge interest. Apparently the studio is considering releasing the actual footage (last I heard, no one knows for sure if the originals still exist). So one day there could be an official DVD/BluRay version of The Cabal Cut. You can find out more at Occupy Midian. I also think the pertinent issue of Rue Morgue is worth the cover price. I’m pretty excited to see this movie. I just hope it really comes to fruition. How much would you pay to see The Cabal Cut?